For starters not all hosting companies seem to be setup or configured to meet Dolphin requirements. Others seem to meet the minimum requirements, but you later learn that some other server module or requirement isn't setup or installed. Some hosts will install this missing feature or configure it and some wont. A better sollution that will save you a lot of time, frustration, and headaches would be to choose a host that is known to support Dolphin from the beginning. This will result in a much more pleasant overall experience for both yourself and your web site members and visitors. RMS Info: Ray Media Server, which is basically Red 5. If you intend to use the Video features associated with Chat, Instant Messenger, etc. you will need RMS. You can install your own RMS if you have root access on a VPS or Dedicated Server. If you are on shared hosting your only option will be to either keep your current host, and get Stand Alone RMS. Or select a host that has Dolphin and RMS all in one plans. Without RMS you can still use Chat, Instant Messenger, etc. in text mode without the video features and capabilities. So there really is no need to run out and get it right away, unless you really think it is necessary. If your site is new and just getting started chances are you will have no need for it other than testing if interested. In fact many sites rarely use the RMS Video features and capabilites of Dolphin anyway. Some find out that it just isn't used enough by members to justify the additional monthly fee for RMS. Something to consider anyway. You can always add a Stand Alone RMS plan to your current host in the future. Stand Alone RMS: Will allow you to use your current host along with a stand alone RMS plan to use the Video features and capabilities of things like Chat and Instant Messenger. If you do not want to change hosts, but desire the additional Video features available with RMS you may opt for Stand Alone RMS. Shared Hosting Note: Although many shared hosting plans suggest unlimited space, bandwidth, addon domains, databases, etc. you should realize that everything has limits. Even though many hosts say unlimited you can not expect the host to allow your site to consume a lot of the servers resources all for $7 per month. You can't blame a host when they ask you to upgrade to a higher plan for more money, which allows a site to use more resources. For most sites this is not an issue, but if your site is experiencing steady growth then you should expect to upgrade at some point. Hostforweb.com - HostForWeb offers Dolphin Hosting with Unlimited Space, Unlimited Bandwidth, 24-7-365 Support. They have a 1 click Auto-Installer, and Ray Media Server (RMS) is included in the price of your hosting plan. Use promo code: BoonEx and get an additional 20% off! It can be difficult to find a host that will run Dolphin smooth and efficiently. We strive to seek out and find ones that go above and beyond. Unfortunately they sometimes loose there luster as time goes by. We will be adding more hosts that we feel can handle Dolphin in the near future. 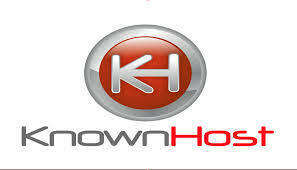 KnownHost.com - Phenomenal uptime, great support, reasonable vps packages to suit almost anyones needs. All the power and options you need to run Dolphin the way you want. Take control and experience the power of a VPS server from knownhost. Looking for RMS service for your Dolphin Site? Check this page for a list of RMS providers Dolphin RMS Service Providers.